The bestselling writer Paula Gooder continues her exploration of the Christian year, with its different seasons and moods, and the varying messages they convey. Here, she explores the longest period of the liturgical year, ordinary time - 33 weeks where no great dramas occur. We live in a culture that revels in the special, the extraordinary, the new, the unusual. This can relegate ordinary life to a bland 'in between-ness' as we look for the next excitement or novelty. This is a tendency that affects the church as much as wider culture as it seeks new ways of doing the familiar old things and reinventing itself. Yet, 'the ordinary' is the very essence of life. The point of special occasions is not to lift us out of humdrum existence but to embed us more powerfully in ordinary, day to day life. We need to learn how to live ordinary life in an extraordinary way. 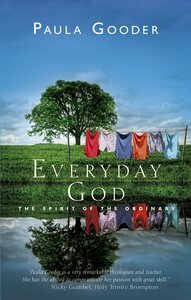 This book explores how to do this through reflections on 33 biblical texts reflecting on how God breaks into everyday life, transforming it into the most extraordinary existence possible.